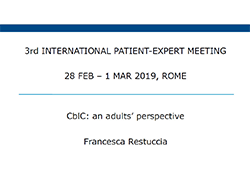 The Patient-Expert Meeting was held in NH Roma Centro, Rome on 28 FEBRUARY to 1 MARCH 2019. 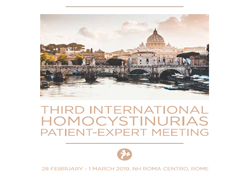 It was the third international educational event held specifically for patients with homocystinuria and associated disorders and their families. The main goal of the meeting was to enhance the exchange of information and ultimately promote improved health outcomes for patients affected by these disorders. A secondary aim of the meeting was to help lay the foundation for further national patients groups and a global homocystinuria ‘umbrella’ patient group. 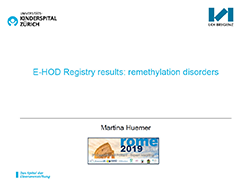 The Patient-Expert Meeting was a collaborative venture organised by HCU Network Australia and the European Network and Registry for Homocystinurias and Methylation Defects (E-HOD), and sponsored by the Recordati Rare Disease (RRD) Foundation. 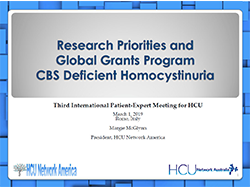 The meeting brought together leaders in the field of homocystinuria research, clinical care, nutrition and advocacy for a two-day conference. The meeting was held in conjunction with Rare Disease Day 2019 on 28th February. 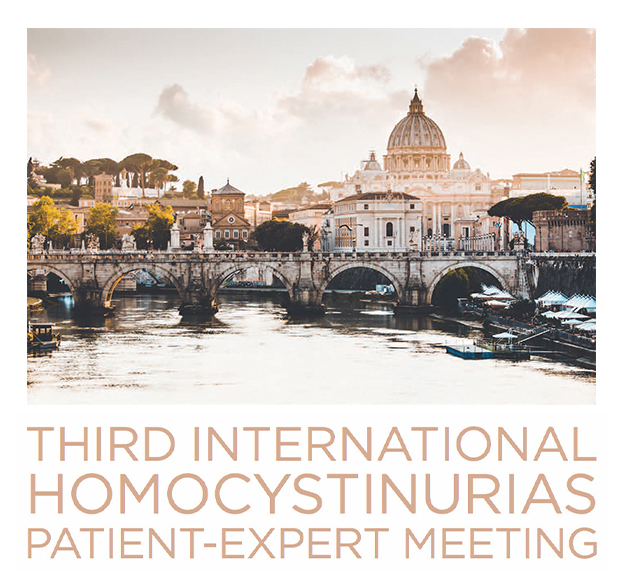 On behalf of the organising committee, for the 3rd International Homocystinurias Patient-Expert Meeting I would like to thank all speakers, sponsors and attendees. We are pleased to provide below the presentations from the meeting for anyone unable to attend. 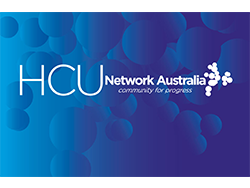 *HCU Network Australia reserves the right to alter the programme without prior notice. Please note speakers and the programme are subject to change. In the event of a speaker cancellation, all efforts will be made to find a suitable replacement. Orphan Europe, part of the Recordati Group, is a pharmaceutical company aiming at providing treatment for patients with unmet medical needs suffering from rare diseases. Since 1990, Orphan Europe is established as one of the most active players in the field of rare diseases. Orphan Europe is committed to the improvement of knowledge about rare diseases among healthcare professionals. The best example is the support of Recordati Rare Diseases Foundation that provides unique, independent and high-level education on rare diseases. Orphan Technologies is dedicated to developing novel therapies to dramatically improve the lives of patients suffering from rare disorders. OT-58, our lead drug development candidate, has been optimized as an enzyme replacement therapy for classical homocystinuria, a genetic disease characterized by debilitating cardiovascular, skeletal, neurologic, and ophthalmologic complications. OT-58 is designed to reduce homocysteine levels via a targeted mechanism of action and may have therapeutic applications in other diseases. For more information, please visit www.orphantechnologies.com. OT-58, Orphan Technologies’ lead drug candidate, is a modified recombinant enzyme replacement therapy in development as an enzyme replacement therapy for patients suffering from the rare disease classical homocystinuria. 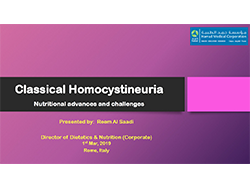 Classical homocystinuria is a genetic metabolic disease caused by a deficiency in the CBS enzyme leading to elevated levels of the amino acid homocysteine. OT-58 has consistently demonstrated significant reductions in homocysteine levels across multiple models of homocystinuria and has the potential to improve metabolic control, reduce or remove dietary restrictions, and positively impact clinical outcomes. OT-58 is anticipated to enter clinical evaluation in 2018 and has been granted Orphan Status by the US Food and Drug Administration and EMA. In addition, based on its mechanism of action, OT-58 has therapeutic potential in other diseases. Nutricia pioneers nutritional solutions that help people live longer, more joyful and healthier lives. Building on more than a century of nutritional research and innovation, Nutricia continues to transform lives through the power of nutrition. Nutricia’s science-based products and services support healthy growth and development during the first 1000 days. Nutricia also helps to address some of the world’s biggest health challenges including conditions in early life such as pre-term birth, faltering growth, food allergy and rare metabolic diseases, as well as age-related conditions and chronic disease, such as frailty, cancer, stroke and early Alzheimer’s disease. As part of Danone, Nutricia fully embraces the company’s “One Planet. One Health” vision reflecting that the health of people and the health of the planet are interconnected and therefore seeks to protect and nourish both. 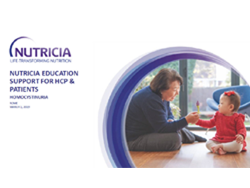 For more information visit www.nutricia.com. 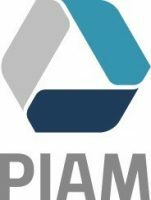 Founded in Genoa in 1915 by Edoardo Maragliano, the man who discovered the first tuberculosis vaccine, PIAM is an Italian pharmaceutical company that has developed its core business in specialist and ethically significant therapeutic areas with prescription drugs. Over time it has gained particular expertise in hereditary metabolic diseases. In the 70s, PIAM pioneered a specialist nutritional line to support its pharmaceutical products. It is able to offer a complete response for patients with disorders requiring particular nutritional therapy, throughout every phase of their lives. Here at Piam, our priorities are the different needs faced by people with unusual or rare disorders. We want to continue being the preferred partner for everyone who suffers from these diseases. We offer effective solutions and promote a health-centric culture focusing on individuals and their requirements. Our approach to care derives from more than 100 years of experience alongside doctors and the scientific community. Thanks to our exclusive history and expertise, we are able to develop our offer around tangible needs faced by doctors, patients and caregivers, providing them with the necessary treatments, whether pharmacological or nutritional, as well as services to help with the effective management of their specific needs. Our expertise is the result of more than a century of involvement in the pharmaceutical sector and thirty years of research into nutritional therapy for rare diseases. By combining nutritional and pharmacological therapies, we are able to offer physicians who consistently chose us a complete platform of integrated therapeutic solutions and services for customised care. Through a solid network constructed over time with high-profile international scientific partners, as well as targeted clinical research and development, we are able to seize the best and most innovative therapeutic opportunities in terms of efficacy and safety available on the world market. We adopt an approach that enables us to provide the most appropriate pharmacological therapy solutions for unmet needs as quickly as possible, via a flexible, yet ethically and scientifically stringent business model. We have had a single mission for more than a century, which looks set to remain the same for the next 100 years: commitment to providing appropriate and cutting-edge responses to growing health needs. For more information, please visit www.piamfarmaceutici.com/en/. Vitaflo are at the forefront of developing innovative specialised clinical nutrition products for Metabolic Disorders such as Homocystinuria and other specific conditions. Our aim is to create products that combine the best of cutting-edge research with the lifestyle demands of modern living, ensuring the most acceptable products are available for the patient. By constantly evolving to meet patient needs, Vitaflo will continue to develop products which offer patients choice and help support them in complying with restrictive therapeutic diets. For more information, please visit www.vitafloweb.com. metaX, founded in 1999, is an independent German family business. In Germany and across the world, we work together with prestigious universities and special hospitals, research laboratories and competent business partners. We are a team of highly motivated professionals dedicated to work creatively on innovations in metabolic dietetics. metaX offers dietetic Foods for Special Medical Purposes: Protein Supplements, powdered and liquid, a wide range of Low Protein Products for patients with PKU, HCU and many other rare disorders of metabolism, Supplements for Food Fortification, a Micronutrient Supplement System and products for the dietetic management of Chronic Renal Failure. metaX develops and manufactures almost all their products themselves. metaX is a company certified according to HACCP and ISO 9001:2015. State-controlled production facilities, many years of experience, sound knowledge and highest quality demands provide excellent product quality. Our products are analyzed and monitored by accredited laboratories – service to our customers, without compromise. metaX services include brochures, recipes, cooking classes, holiday activities for patients and medical symposia for professionals. The symbol “X” in the metaX company logo stands for a human being. It symbolizes that metaX is dedicated to the wellbeing and health of people. The personal interaction with the people for whom our products are developed, is very close to our hearts. We look forward to hearing from you! For more information visit www.metax.org. The aim of the Society is to foster the study of inherited metabolic disorders and related topics. The Society, founded in 1963, exists to promote the exchange of ideas between professional workers in different disciplines who are interested in inherited metabolic disease. Pursuing this aim by arranging scientific meetings, publications and in other ways considered appropriate by the Council. The Council is also supported by advisory council members who provide advice and meet with the Council at the annual symposium. The Society, a registered charity, accepts donations from sponsors sympathetic to its aims. The Council, within its financial resources, is willing to spread interest and study in inborn errors around the world by selectively supporting membership and attendance at conferences from areas of the world where financial resources are more limited. Not funding research, but offering on request, advice to other organisations who do. The Society is also a limited company and the liability of members in the event that the Society is wound up is limited to £1 per member. For more information, please visit www.ssiem.org. 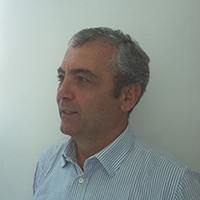 Dr. Carlo Dionisi-Vici, paediatrician is Head of the Unit of Metabolic Disease at the Bambino Gesù Children’s Research Hospital in Rome, Italy; is President of the Italian Society for Inborn Errors of Metabolism and Neonatal Screening (SIMMESN) and Council member of the Society for the Study of Inborn Errors of Metabolism (SSIEM). His clinical and research focus includes organic acidemias, urea cycle defects, homocystinurias, management of metabolic emergencies, mitochondrial and lysosomal disorders and hyperinsulinism. 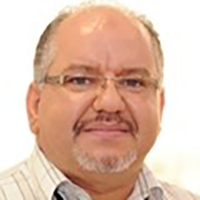 He has conducted translational research for the development of guidelines in inborn errors of metabolism and applied new technologies to improve diagnosis, prevention and treatment of metabolic diseases. 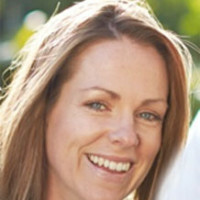 Tara Morrison is director and chair of HCU Network Australia. Her connection to this disorder is a personal one: her two sons were diagnosed with Classical Homocystinuria at ages 5 and 1 years. At the time of diagnosis the Morrison Family were left with many unanswered questions. Their response has been to try and change this experience for others. 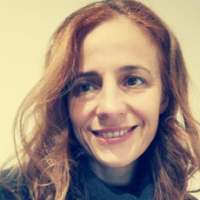 In 2014 Tara founded HCU Network Australia and serves voluntarily as Director and Chair of the Board. 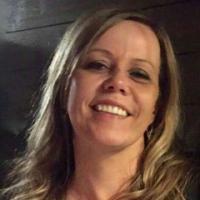 She is eager to utilize her personal and professional experience to achieve real outcomes for individuals affected by the disorder and their families. Tara has practiced law in private practice for the past 10 years. She has worked in a range of areas and specializes in family law and building and construction. Tara holds a double degree in Arts and Law. She is a solicitor admitted in NSW and the High Court of Australia. Henk Blom finished his Chemistry study in 1985 and received his PhD in 1988 at the Radboud University Nijmegen. After his post-doc period at the Human Genetics Branch, NIH, USA (William Gahl), he became post-doc in 1990 and later in 1992 staff member of the Clinical Genetics Center Nijmegen at Laboratory of Pediatrics and Neurology, University Hospital Nijmegen, the Netherlands. In 1997 he became Established Investigator of the Netherlands Heart Foundation and in 2003 he was registered as Clinical Biochemical Geneticist. In 2007 he was appointed as vice-head and later head of the Metabolic Unit at the Department Clinical Chemistry, VU University Medical Centre Amsterdam, the Netherlands and in 2009 he became Professor in Biochemistry of Inherited Metabolic Diseases at the VU University Medical Centre Amsterdam. Since 2014 he is head of the laboratory for Clinical Biochemistry and Metabolism, Department of General Pediatrics, Center for Pediatrics and Adolescent Medicine University Hospital Freiburg, Germany. His research concerns inborn errors of metabolism with special focus on inherited defects of homocysteine, methylation and folate metabolism. His contributions include the association of a disturbed homocysteine metabolism with pregnancy complications, including neural tube defects, cardiovascular disease, thrombosis and stroke in children. He investigated the genetic etiology of thermolabile MTHFR, which resulted in the discovery of the MTHFR 677C>T variant which is the first identified genetic risk factor for neural tube defects. Basic research concerned the effects of homocysteine and its metabolites on development of chicken embryos and endothelial function. 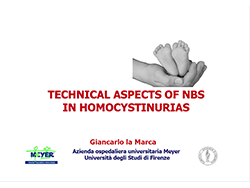 Among inborn errors of metabolism his group described the molecular basis of severe hyperhomocysteinemia. They also explored cystinosis and defects in the methionine methylation pathway, including methionine adenosyltransferase deficiency. They discovered two new genetic defects: one in folate metabolism: dihydrofolate reductase deficiency and one defect in methylation: adenosine kinase deficiency. 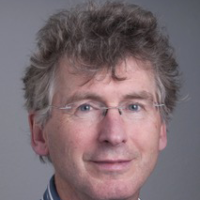 Prof Henk Blom is coordinator of E-HOD, an international consortium on homocystinurias and methylation disorders. In 2017 the consortium consisted of almost 100 partners. Main achievements are the setup of the E-HOD registry (www.EHOD-registry.org) and website (www.E-HOD.org) with information for expert as well as patients and their families. In addition four guideline manuscripts have been published, teaching courses and Patient – Expert Meetings organized. He supervised as (co)promoter of 31 PhD students and published over 350 papers in international journals resulting in an H-index of 72. 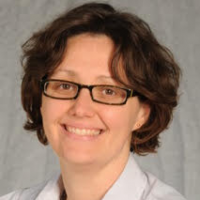 Ida Vanessa D. Schwartz graduated in 1994, entered residency in clinical genetics in 1995, started her Master’s degree program in 1998, her PhD in 2000 (this last post graduate course ended in 2004), and started her Postdocs in 2015 and in 2016 respectively. Both her Master’s and her PhD were related to inborn errors of metabolism, and the study of ethical/economic aspects related to the treatment of rare disorders is one of her main research lines. She is an associate professor of the genetics department at Universidade Federal do Rio Grande do Sul (UFRGS), as well as the coordinator of both the local Gaucher Reference Center and the Inborn Metabolic Clinics in the Medical Genetics Service at Hospital de Clínicas de Porto Alegre, Brazil, which is an international reference center for the diagnosis and treatment of lysosomal storage disorders. Among the awards and recognitions she has received, some stand out, such as, the L’OREAL/Brazilian Academy of Sciences for Women in Science (2007) and her affiliation to the Brazilian Academy of Sciences (2008). She has been a member of the Ethics Committee of UFRGS since 2011. 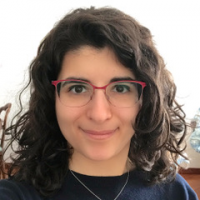 Dr Manoli is a physician scientist and clinician associate investigator in the Organic Acid Research Section of the National Human Genome Research Institute (NHGRI), National Institutes of Health (NIH), in Bethesda, MD, USA. She received her M.D. from the University of Athens, Greece and subsequently pursued residency training in pediatrics and neonatology in the UK. She pursued postgraduate training including a M.Sc. in pediatric endocrinology and a Ph.D. in basic medical sciences, at the University of Athens, Greece. She then worked on mitochondrial genomics as a postdoctoral fellow at the National Center for Complementary and Alternative Medicine, NIH and subsequently trained in genetics and clinical biochemical genetics, at the Medical Genetics Branch, NHGRI, NIH, Bethesda, MD and was board certified in 2009. 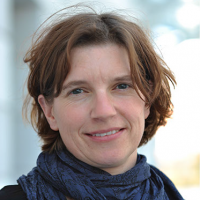 Her primary interest is in combining work on animal models and clinical studies with the aim to develop new therapies for methylmalonic acidemias (MMA) and defects of intracellular cobalamin metabolism. Her work was critical in the reappraisal of dietary practices for MMA and cobalamin C deficiency in the USA and the development of improved guidelines for these disorders. She has worked with several mouse models of defects in the cobalamin pathway, studying the pathophysiology underlying disease manifestations, discovering new disease biomarkers and testing small molecule therapies. Along with the work in the lab, she takes care of the patients enrolled in the NIH clinical protocol on MMA and cobalamin disorders and works on translating preclinical therapies from animal models of MMA into the clinic. 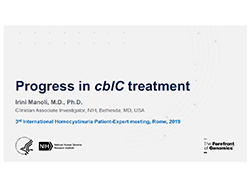 Rossella Brindisi is the President of the CBLC Onlus and also is the mother of two sons, the second born affected by cobalamin (cbl) C deficiency diagnosed when he was 18 months old. 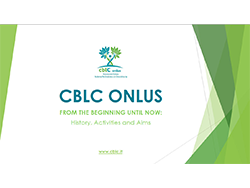 In March 2017, along with 4 other families in similar situations, the CBLC Onlus association was created, with the purposeful intention to support scientific research and to improve the quality of life of patients and their families. In a short time the association has reached a significant number of Italian families, but also some in Spain and one in California. Rossella graduated in Economics and received a Master Degree in Tax; she worked in finance & administration and subsequently in the communication field until the birth of the second son; such educational and professional background has been usefully deployed for the organization and management of the association. Tomas Majtan received his PharmD in 2003 from the Faculty of Pharmacy, Comenius University in Bratislava studying novel antimicrobial compounds and disinfectants using Salmonella pathogens. He then pursued postgraduate training in microbiology at Slovak Medical University and in 2006 he received a PhD in molecular biology working at the Institute of Molecular Biology of the Slovak Academy of Sciences. During this period, he studied epidemiology and genetics of Salmonella virulence factors and antibiotic resistance markers and deciphered gene expression of bacteriophage during infection of an important industrial strain producing amino acid lysine. 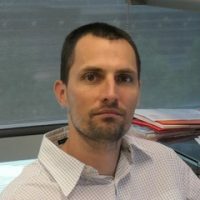 In 2007, he started postdoctoral training on enzymology and biochemistry of cystathionine beta-synthase (CBS) in Professor Jan Kraus group at the University of Colorado School of Medicine, Aurora, Colorado. In 2013, he was promoted to Assistant Research Professor at the Department of Pediatrics, Section of Genetics and Metabolism, University of Colorado School of Medicine and continues working on understanding molecular mechanisms behind inborn errors of metabolism and developing new treatments with focus on homocystinuria. His contributions to the field include uncovering the mechanism of how missense pathogenic mutations impair CBS function, understanding how CBS cofactors work and affect folding and stability of the WT and mutant enzyme, solving several crystal structures of full-length human CBS to gain structural insight into homocystinuria or clarifying the role of CBS as hydrogen sulfide producing enzyme in health and disease. He utilized his intimate knowledge about CBS and has been working with Professor Jan Kraus and Orphan Technologies on enzyme replacement therapy for homocystinuria since 2010. Dr. Majtan has been a mentor and supervisor of several graduate and postgraduate students or research associates. He is an author of over 40 peer-reviewed papers published in international journals as well as several patents, book chapters and monographs. He regularly presents his research on various conferences and meetings. In addition, he serves as a reviewer for multiple scientific journals and several funding agencies. Matthias Baumgartner studied Medicine at the University of Basel, Switzerland, where he earned his degree as a medical doctor in 1992. He then went on to do a postgraduate course in experimental medicine and biology at the University of Zurich followed by laboratory work at the Biocentre of the University of Basel. After completing his residency in pediatrics at the University Children’s Hospital Basel and at Hôpital Necker – Enfants Malades in Paris, Prof. Baumgartner continued his training in the United States, where he worked as postdoctoral und clinical fellow at the Mc Kusick-Nathans Institute of Genetic Medicine at Johns Hopkins University, Baltimore, from 1999-2001. He returned to Basel to lead the Metabolic Unit at the University Children’s Hospital. 2 years later Prof. Baumgartner joined the Division of Metabolism & Molecular Pediatrics at the University Children’s Hospital in Zurich. After his habilitation in 2005 he was elected as professor for metabolic diseases at the University of Zurich in 2008. 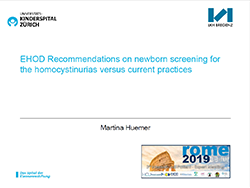 Prof. Baumgartner is head of the Division for Metabolic Diseases, Medical Director of the Swiss Newborn Screening Program and since 2017 Director of the Children’s Research Center at the Kinderspital Zürich. Since 2012 he leads the clinical research priority program “Rare Disease Initiative Zurich – radiz” at the University of Zurich. He is an internationally known metabolic paediatrician and scientist with a main research interest in disorders of intracellular cobalamin metabolism including the homocystinurias and methylmalonic acidurias; he is a steering committee member of the European networks and registries for Homocystinurias and remethylation disorders (E-HOD, www.e-hod.org) and Intoxication type Metabolic Diseases (E-IMD, www.e-imd.org) and an editor of the Journal of Inherited Metabolic Disease. Margaret (Margie) McGlynn is President of the Board of HCU Network America, a patient advocacy organization she co-founded to provide support for patients and families affected by homocystinuria. She is also President of the Hempling Foundation for Homocystinuria Research, a fund she established to support research on new therapies for HCU in honor of her late sisters, Judy and Susie Hempling. Judy and Susie passed away due to homocystinuria in the early 1970s and Margie is committed to finding a cure for homocystinuria so that someday no children will suffer like her sisters did, and no families will need to deal with the impact of this devastating illness on their family members or the fear of passing the disease along to additional offspring. After receiving a BS in Pharmacy and an MBA in Marketing from The University at Buffalo, Margie spent 26 years at Merck where she served in leadership roles in marketing, new product development and managed care, last serving as President, Global Vaccines and Anti-Infectives. After retiring from Merck, Margie served for 4 years as President and Chief Executive Officer of the International AIDS Vaccine Initiative (IAVI), a Product Development Partnership which helps accelerate HIV vaccine development by bridging government and philanthropic funding with academic and industry vaccine research and development capabilities. Margie also serves on the boards of Vertex Pharmaceuticals, Amicus Therapeutics, Orphan Technologies, and Air Products and Chemicals. Pediatrician (Senior consultant) and psychologist. Specialist for inborn errors of metabolism with continuous engagement in clinical and research activities in the field since 1996. Medical career: Pediatric University Hospital Vienna (Prof. S. Stöckler) 1995-2001, LKH Feldkirch (2001-2006), LKH Bregenz since 2007, additionally member of staff at the Pediatric University Hospitals in Zurich and Basel since 2009. Habilitation treatise on “Homocysteine, cobalamin and folate metabolism in children and adolescents” (University of Vienna 2009). Several projects and peer reviewed publications on homocysteine metabolism and methylation disorders. 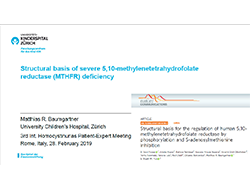 Clinical work (care for in- and outpatients with inborn errors of metabolism) at the Pediatric University of Basel, and at the LKH Bregenz. Member of the Austrian and Swiss Groups of inborn errors of metabolism, EHOD, and of the SSIEM. 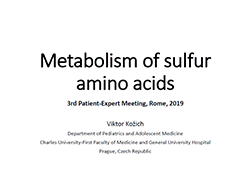 Active participation in the international guideline groups for urea cycle disorders, Pompe’s disease, Gaucher’s disease, remthylation disorders and methylmalonic aciduria/propionic aciduria. I was diagnosed with Homocystinuria with cobalamin CblC deficiency when I was 22, after 10 months of recoveries and exams without a clear medical diagnosis. My life totally changed, in fact now I use a wheelchair but I can say I’m a very lucky girl. I started again to follow my goals but with a new perspective and more awareness. I wanted to become a healthcare professional and I graduated in social work studies; now I work with people with Alzheimer and Dementia in a rehabilitation project and I have also other projects to achieve. My hope for the future is a more effective therapy for Homocystinuria, especially for those children that have more severe symptoms and consequences then me. Dr. Chapman is a physician and scientist at the Children’s National Rare Disease Institute in Washington, DC, USA. She graduated with an MD and a PhD from the University of Nebraska and then completed her internal medicine and pediatric residencies at the University of Pittsburgh Health Sciences Center. She went on to do medical genetics training at the Children’s Hospital of Philadelphia and joined the staff at Children’s National Health System (CNHS) in 2010. Her clinic interests focus on the propionate pathway disorders and homocystinurias. Dr. Chapman’s laboratory studies the interaction of several metabolic pathways and their impact on the Krebs cycle. Medical passionate helping patients with inborn errors of metabolism to achieve the best quality of life by early access to neonatal screening and dietary treatment. Enthusiastic leader in education of healthcare professionals in field of dietary management of metabolic diseases and preventions program for PKU patients. Initiator of clinical research in field of IEOM. Fibronectin gene expression in selected physiological and pathological conditions in gynecology. Professor Jean-Louis Guéant is Head of Department of Biochemistry-Molecular Biology and Nutrition of University Hospital of Nancy, Director of UMR-S Inserm 1256 “Nutrition-Genetics-Environmental Exposure” at the University of Lorraine, and coordinates the Federation of Clinical Research ARRIMAGE. In France, he is President of the 44th section (Medical Biochemistry-Molecular Biology, Physiology, Cell Biology and Nutrition) of the National Committee of Universities (evaluation recruitments and careers), President of the National Commission of Medical Biology, and Member of the National Academy of Medicine. He has organized four international congresses since 2010 and is regularly invited to international conferences as speaker and session chair. 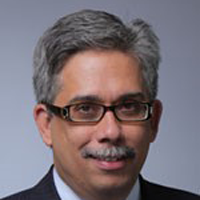 He is member of the editorial board of Hum Genet and reviewer for high impact journals such as N Engl J Med, Cell Metab, Circulation, Gastroenterology, Gut, and Am J Clin Nutr. His scientific production includes 377 articles in Pub Med. 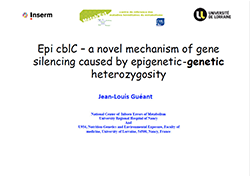 He has described key mechanisms of digestive transport and metabolism of vitamin B12 and folate, the role of epigenome, cellular stress, energy metabolism and fetal programming in rare and complex metabolic diseases and a new type of B12 rare disease named “Epi-cblC.” and has dissected the genetics of allergic drug reactions, with publications in N Engl J Med, Nat Comm, Lancet, PNAS, Ann Intern Med, Gastroenterology, Gut, J Hepatology, Nucleic acid Research, J Allergy Clin Immunol, and Blood. He has received the Distinguish Scientist Award of the Sigrid Juselius Foundation, the AGAF award of American Gastroenterological Association, and the “Prix Elise Cailleret” of the French National Academy of Medicine. International Society for Neonatal Screening: ISNS Dussault Medal 2014 to “honour a researcher who has made a significant contribution to neonatal or other population-based screening which is recognized as such”. Gregory M. Pastores MD is Clinical Professor of Medicine (Genetics), University College Dublin, Ireland, and Consultant with the Adult Metabolic Service/Department of Medicine/National Centre for Inherited Metabolic Disorders at the Mater Misericordiae University Hospital, Eccles Street, Dublin 7, Ireland. He is also currently National Speciality Director (Genetics) for the Republic of Ireland. A graduate of the University of Sto. Tomas in Manila (1983), he trained in Pediatrics and Genetics at the Mount Sinai Medical Center in New York (1989) and at the Mayo Clinic in Minnesota (1991). While at Mount Sinai, he received the Young Pediatric Investigator Award, Mount Sinai Child Health Research Center, NIH (5 P30 HD28822), 1993-1996, and the Clinical Associate Physician Award, Mount Sinai General Clinical Research Center, National Center for Research Resources, NIH (5M01-RR0071), 1996-1997. Prior to coming to Ireland, he was an Associate Professor of Neurology and Pediatrics at the NYU School of Medicine in New York, and Director of the Neurogenetics Laboratory for the Department of Neurology at NYU in New York (1997-2013). 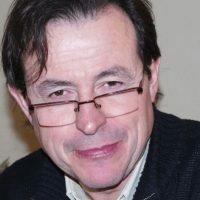 Dr. Pastores has extensive clinical and research experience in the diagnosis and management of patients with the lysosomal storage disorders, and was engaged in the development and testing of treatments for Gaucher, Fabry, MPS I, IV and VI, Pompe disease and a late (adult)-onset form of Tay-Sachs disease (GM2-gangliosidosis). 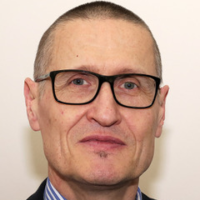 He has published over 250 papers, 25 book chapters and three textbooks, including the recently released Lysosomal storage diseases: Pathobiology and Therapeutic Considerations (2016). 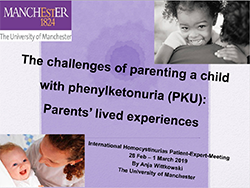 Professor Sufin Yap is a Consultant Paediatrician in Metabolic Medicine at Sheffield Children’s Hospital and an honorary senior lecturer at the University of Sheffield, UK, since 2012. She was formerly a Consultant Metabolic Paediatrician at the National Center for Inherited Metabolic Disorders, Dublin and Professor of Paediatric Metabolic Medicine at University Malaya. She graduated from the Royal College of Surgeons in Ireland and received her Doctorate on Classical Homocystinuria in 2000. Six of her published works on homocystinuria were selected in three consecutive years at the Irish Journal of Medical Science (IJMS) Doctor / Royal Academy of Medicine Ireland (RAMI) Awards for excellence in clinical research (2000–2002). She was the recipient of the IJMS/ RAMI Award for the “Risk Factor Medicine” category in 2001 for her vascular work on homocystinuria and of the Royal Academy of Medicine Ireland Paediatric Registrar Medal in 2001 for work published on the effects of early dietary treatment in the prevention of mental retardation in patients with homocystinuria. Her clinical interests are in nutritional treatment and inherited metabolic disorders, particularly homocystinuria and its obligate carriers. She has a long and vast clinical and research experience in managing Inherited Metabolic Disorders. 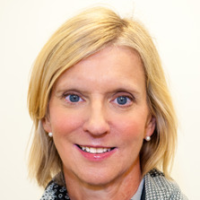 Her current research interests include work on the vascular component in homocystinuria and inherited thrombophilia aimed at evaluating current treatment regimens in reducing vascular risk and is the chief investigator for the European PROTECT study on the long term treatment of organic acidurias. She has more than 100 international presentations, publications and abstracts. 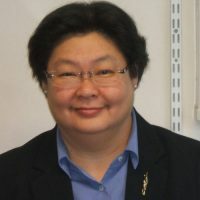 Her other interests include disseminating knowledge on management of metabolic diseases in the Far East, assisting in developing skills and techniques for investigative tests to be available locally, and treatment in acute metabolic encephalopathies. 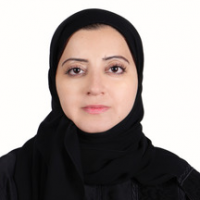 Ms. Reem Al-Saadi is the Director of Corporate Dietetics and Nutrition department at Hamad Medical Corporation –Qatar and her main interest is the dietary management of metabolic diseases. She completed her bachelor’s degree in Human Nutrition from Qatar University. She joined HMC as general dietitian in 2004 then specialized in pediatric nutrition and subspecialized in the dietary management of Metabolic and Inborn Error of Metabolism diseases in 2006. She got a training course for the dietary management of metabolic diseases at the University of Heidelberg, Germany in 2006. She attended a course in the dietary management of inherited metabolic disorders, London-2008. She got a training course in Ketogenic diet with a well-known expert – Kuwait in 2009. She completed her internship in dietary management of metabolic diseases, then completed International Learner program in inborn errors of metabolism at Sick kids hospital – Toronto – Canada in 2011. She attended a course in Dietetic management of inherited metabolic disorders (Module 4) – Birmingham in 2011. She attended and participated in different courses, conferences and lectures for the new born screening program. She participated and attended most of the national, regional and international metabolic conferences. To be more practical Ms. Reem participated in the development of the metabolic center and initiated the metabolic kitchen at Hamad Medical Corporation and prepared different low protein recipes with demonstrations by inviting and joining different experts from different countries. Annually Ms. Reem conducting the Homocysteinuria family day for Homocysteinuria patients and their families as they are part of the management program. To keep them updated and coping with the most recent guidelines, continuously Ms. Reem hosting experts of different metabolic specialties to make workshops or present lectures for metabolic dietitians at Hamad Medical Corporation , in addition to keep all the health care team members aware about diet , she trains physicians and nurses for the dietary management of metabolic diseases. As she is the most professional metabolic dietitian in Qatar she is representing Hamad Medical Corporation for all the activities related to metabolic nutrition by Conducting and presenting various metabolic workshops and lectures locally, regionally and internationally. Alexandra Jung has a degree in nutrition science (Diploma) and a master in humanitarian assistance. She is working as a dietitian in the Competence Center for Rare Metabolic Disease, Charité, Berlin since 2013. Her focus lies on being a consultant for adults with metabolic diseases. In addition, she is working as a pediatric dietitian in the children hospital, being involved in the process of transition. Luana Brito is a 35-year-old Brazilian journalist, mother of a child with Methylmalonic Acidemia with Homocystinuria. She’s representing cblC Brazil group for the second time at the Patient-Expert Meeting. The group is composed of patient relatives and aims to promote the exchange of information, ideas and experiences among the participants, in order to offer a better quality of life for the patients. 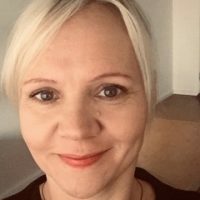 Dr Anja Wittkowski is a Senior Lecturer/Associate Professor in Clinical Psychology in the Division of Psychology and Mental Health, School of Health Sciences, at the University of Manchester (UoM). She completed all of her degrees at the University of Manchester and since her graduation as a Doctor in Clinical Psychology in 2001 she has been a research active clinical academic working at this prestigious university. She is also working as a Health and Care Professions Council registered Clinical Psychologist for the Greater Manchester Mental Health NHS Foundation Trust. Her research interests are closely linked to her clinical work at the national psychiatric, inpatient Mother and Baby Unit at Wythenshawe Hospital in Manchester, England. They centre broadly on antenatal and postpartum psychological mental health difficulties, including postpartum psychosis, postnatal depression and problems in the mother-infant-relationship. 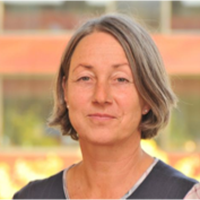 At present she is particularly interested in examining the effectiveness of psychological and parenting interventions in the treatment of women with serious perinatal mental health problems and the impact any improvements may have on the mother-infant-relationship. She is a co-applicant and the Manchester Lead for the National Institute Health Research (NIHR) Public Health Research funded THRIVE trial (Henderson, Wittkowski, et al. 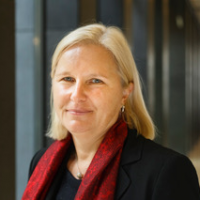 2013-2019; NIHR Public Health Research Programme) and she is the Principal Investigator of a NIHR Research for Patient Benefit funded feasibility study of the Baby Triple P Positive Parenting Programme for mothers with severe mental health problems, called the IMAGINE study (Wittkowski et al., 2016-2019). However, her research interests extend to parenting programmes and the parenting experience more general as well, including the experience of parents whose children have health problems. She regularly supervises several research assistants as well as PhD and ClinPsyD doctoral students. She has published numerous systematic literature reviews, empirical study papers and she has contributed to some book chapters. Finally, in her academic role she is the Families and Parenting Research Group lead. For further information, please see: https://www.research.manchester.ac.uk/portal/anja.wittkowski.html. I’m Owen Austin. 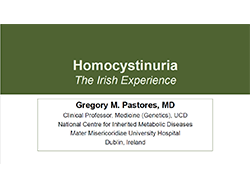 I was diagnosed with classical homocystinuria when I was 7 years old. I am a tough person and have taken this diagnosis by the horns… so people tell me! 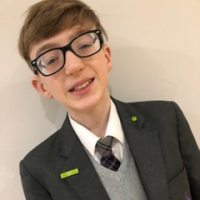 I had a lot to learn and more to come with each life stage I hit – however I won’t let it beat me… I will be speaking about living with classical homocystinuria from a child’s point of view. 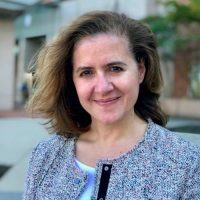 Marcia Sellos-Moura, PhD, is Vice President of Program and Portfolio Management at Orphan Technologies, a company dedicated to developing novel therapies to dramatically improve the lives of patients suffering from the rare disorder homocystinuria and related diseases. Prior to joining Orphan Technologies in 2016, Dr. Sellos-Moura held a variety of positions of increasing responsibility at Shire and Transkaryotic Therapies and was an integral contributor to the approval of four products and to the development of greater than 20 candidates across their rare disease portfolios. 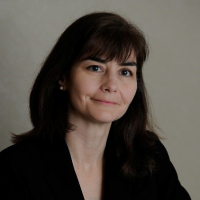 She has over 20 years of research, development, and program management experience with emphasis in preclinical and clinical development as well as bioanalytical and translational sciences. 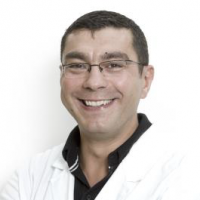 Dr. Sellos-Moura holds a PhD in Biochemistry, Cell and Molecular Biology and a bachelor in Biochemistry and Chemistry from Cornell University, as well as a graduate degree in Biopharmaceutical International Regulatory Affairs. 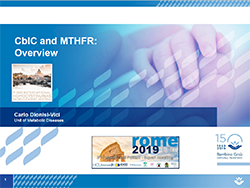 From beginning 2014 is the Head of Inherited Metabolic Disease Unit and Clinical Chief of the Expanded Newborn Screening Program at University of Verona, Italy. 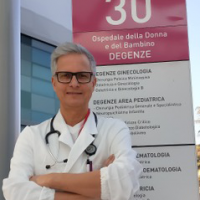 From 1997 to 2009 he was appointed as leading doctor for genetic and renal pediatric disease at Pediatric and Neonatology Department, Pordenone, Italy. 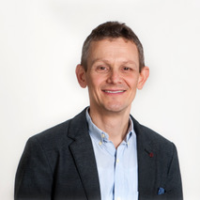 He have been involved in training experiences at Kings’ College Hospital and Great Ormond Street Hospital, London, in the field of rare neonatal and children diseases. 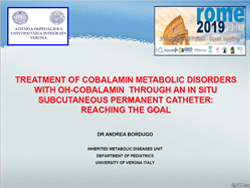 He is member of the Council of the Italian Inherited Metabolic Disease Society( SIMMESN). He published works and papers on inherited metabolic diseases. Via dei Gracchi, 324 00192 Rome – Italy. Click here for the hotel website. HCU Network Australia has secured a room block at the NH Collection Roma Centro. The hotel accomodations are processed through the hotel directly using the booking link for participants here. Please click here to be taken to the Roma Centro booking link to book your hotel room and to read the room cancellation policy. The room block will close on 7 January 2019. Leonardo da Vinci Airport is the main airport serving Rome. The airport is located 29km from the city centre of Rome. There are several bus, taxi and transfer companies who provide airport shuttle services. If you are travelling from or to another area within Italy, Ciampino Airport is the airport serving domestic and some international flights. The airport is located 15km from the city center of Rome. Bus, taxi and transfer companies provide airport shuttle services. Stazione Termini is the main train station in Rome. Airport buses and trains, as well as international trains will arrive at Stazione Termini. Here you can also get a taxi and bus to take you on to your destination. As Italy’s capital, Rome is one of the countries most popular tourist destinations. Language: Italian is the official and most widely spoken language in Rome. As Rome is a large tourist city, many people also speak English. Weather: With the end of winter for Rome in February and the beginning of Spring in March, the average maximum temperature is 15 C and the average minimum is 5 C.
Dress code: The dress code for the meeting is casual or business casual as Rome is a very informal city. Electricity: You will require a travel adapter for your electrical goods. Telecommunications: The Country Code for Italy is +39 and the area code for Rome is 06. Currency: The Italian monetary unit is the Euro (EUR). Credit Cards: Visa, MasterCard, Diners and American Express are accepted in most hotels, restaurants and shops. Visas: Australian citizens planning on staying within Italy or other EU member countries for less than 90 days are not required a visa. Taxis: When taking a taxi in Rome make sure the meter reads Tariffa 1. Sometimes, taxi drivers will put the meter on Tariffa 2 for unsuspecting tourists, which charges the passenger at a much higher rate. Tariffa 2 must only be applied when exiting Rome’s highway, Grande Raccordo Annulare. Tipping: Tips are optional and not expected in Italy. However, tipping may be appropriate where service is exceptional.